On Boxing Day, the MCG monumentally failed to provide a competitive wicket at a key juncture in the Test summer – a failure that has spectacularly halted the momentum of an otherwise brilliant series. Most are sick of talking about the 22-yard strip of grass in the middle of Australia’s biggest stadium, namely because in no other sport do playing conditions overtake the action as the main narrative of the day. But it has, yet again, as the pitch played depressingly to form: not enough bounce and lateral movement for the bowlers, and not enough pace for the batsmen to free their arms. The result? A turgid two-wicket day where the run-rate finished on 2.4 in front of 73,000 fans who deserved so much more. After the ICC rated the brilliant Perth Stadium wicket as ‘average’, most can’t wait for the adjective they’ll use for the MCG strip. Firstly, let’s get the disclaimers out of the way: yes, creating a good cricket wicket for five days is difficult. Yes, drop-in wickets are tough to master (even though Adelaide and Perth seem to have nailed it). And yes, there are soil and clay intricacies at the MCG that are indecipherable to most, but have plagued the ground in recent years. Yes, yes, yes. We’ve heard it all. But like the politician who speaks with deliberately complicated jargon to brush over shortcomings, it doesn’t change the end result. And that result is a distinct failure for all cricket fans. The public don’t care that the new MCG drop-ins will be good in ‘three to five years’. They could hardly be bothered that a ‘highly-credentialed’ curator has been appointed. And they sure as hell couldn’t give a stuff about drainage and sand and concrete and pitch trays. The only reason a cursory interest is shown in pitch technology is through a desperation to watch good quality test cricket. And they want to know how a world-class facility can provide a surface so unfavourable to that. This is not to lay all the blame at the feet of the ground staff, who have reportedly done all they could before this test. But their research and preparatory work suggested the pitch would do much more than what it did on day one, which means they also aren’t blameless. The MCC, naturally, have a key role to play in this, and it appears from the outside looking in that there has been a lack of foresight on this fairly sizeable issue. A pitch plays such a central role in a Test match, and a lifeless one does more damage than just failing to create a result. This pitch may do that, but the damage from another dull Boxing Day has already been done. Long-term questions about the venue’s viability to host test cricket should be seriously tabled. As a proud Melburnian that’s tough to say, but give me a Gabba green-top over the life-sapping road of the MCG any day. If the only sacrifice is that I can’t watch test cricket in the flesh until the pitch issues are sorted, then so be it. The pitch, to finish, wasn’t the only disappointing thing inside the MCG on Boxing Day. 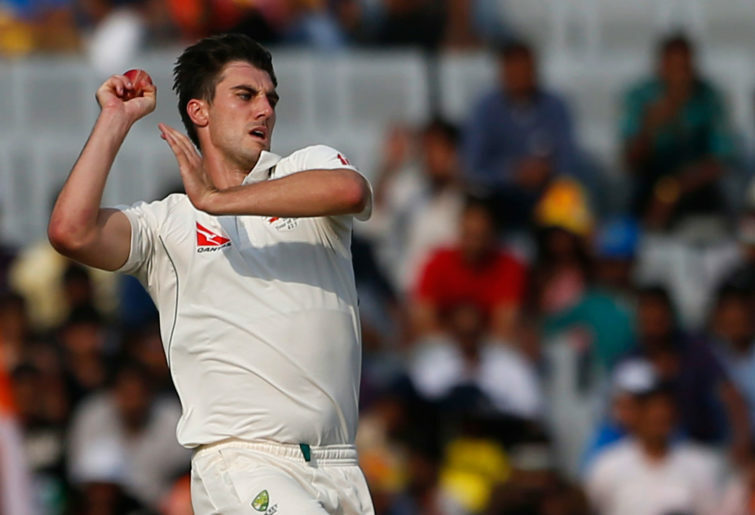 The booing of Mitch Marsh – whose selection was wholly justified based on the lifelessness of the aforementioned 22-yard slab – by Victorians was at best poor, and at worst a disgrace. Opinions on selection are a national pastime, and debates about players coming in or out of the XI are always robust. But when a player pulls on their whites sporting an Australian crest, those opinions – at least audible ones – should be shelved. Marsh, as it turns out, bowled well (0/23 off 15) and presented a more-than-credible fifth option for captain Tim Paine. David Schout is a Melbourne-based freelance journalist who has written and reported for the likes of the Guardian, the ICC, Sportsbet, and AFL Media.